One of the nice things about living in Charlottesville is the access to good used bookstores. I walked into Heartwood Books on UVA's Corner yesterday to peruse the religion section and found this copy of the 20th edition (1950) of Nestle's Novum Testamentum Graece. I purchased it for $7.50. It is a nice, relatively clean copy. Eberhard Nestle (1851-1913) first published his Novum Testamentum Graece in 1898. His original work was based on comparison of the three most significant printed editions of the modern critical Greek New Testament of the nineteenth century (Tichendorf; Westcott/Hort; and Weymouth). The Weymouth was replaced by the edition of B. Weiss in 1901. Where any two of these agreed against a third, Nestle followed the majority. According to a pamphlet published by the German Bible Society: "Nestle's edition, due to its wide distribution, ultimately displaced the 'Textus Receptus', which among scholars had already long become obsolete, in churches and schools" (Textual Research on the Bible : p. 19). The editor's preface begins with a Latin quote from the preface to J. A. Bengel's 1734 Greek New Testament: Te totam applica ad textum: rem totam applica ad te ("Apply your whole self to the text; apply the whole matter to yourself"). After Eberhard Nestle's death, his son Erwin Nestle (1883-1972) continued editing his father's work. With the 13th edition (1927), Erwin Nestle added to the work a critical apparatus, which increasingly expanded in future editions. In 1952 Kurt Aland (1915-1994) became co-editor of the work and with the 25th edition (1963) it became known as the "Nestle-Aland" Greek New Testament. Later editions were based not merely on printed editions (as the early editions had been) but on direct comparison to original Biblical manuscripts. The 26th edition of the N-A (1979) brought the text into agreement for the first time with the modern critical Greek text of the United Bible Societies (3rd edition). The 28th edition of the N-A (2012) is now the standard modern-critical text of academic scholarship. Image: Here is the opening to Romans. Notice the small printed text Biblical text (a hallmark of the Nestle-Aland NT) but also the wide surrounding margins. Image: I found it interesting that the table of contents lists Hebrews as the last of the "Epistolai Paulou (Pauline epistles)", though the line is inset, and not as part of the "Epistolai Katholikai (Catholic Epistles)." Note: Here are some thoughts drawn from last Sunday’s message on 2 Samuel 9. “And Ziba said unto the king, Jonathan hath yet a son, which is lame on his feet” (2 Samuel 9:3). “And David said unto him, Fear not: for I will surely shew thee kindness for Jonathan thy father’s sake” (2 Samuel 9:7). In 2 Samuel 9 we learn that David kept his covenant bond to the house of Jonathan by extending mercy and compassion to Mephibosheth, the lame son of Jonathan (cf. 1 Samuel 20:14-15; 2 Samuel 4:4). Though it was customary in David’s day for a new king to see all the descendents of the previous monarch as his enemies (cf. 2 Kings 10:1-9; 11:1), David unexpectedly extended kindess (hesed, covenant mercy) to Mephibosheth. One things we can learn from 2 Samuel 9 is the importance of keeping one’s covenant promises, whether they be the foundational covenant commitment to Christ, the covenant commitment of marriage, or the covenant commitment of church membership. On a deeper level, we learn something in 2 Samuel 9 about the Lord’s dealings with us. We are spiritually lame men and women. We, as a race, were once whole but in our infancy, through the fall, we lost all spiritually ability. We even became the enemies of Christ. But the Lord sought us; he then sent forth his son in the fullness of time for us; and he has supplied us through Christ with everything we need for salvation and true godliness. The first principle for grappling with the marvel of God’s love is to realize that he has no business—in a sense—loving whom he loves. 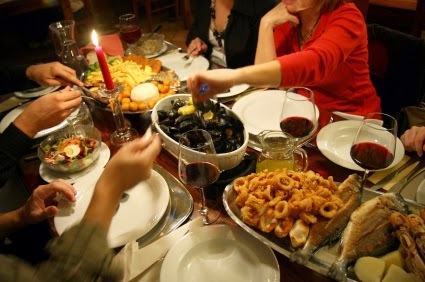 What I’m saying is that we are the Lord’s Mephibosheths, and there is absolutely no reason why we should be eating continually at the king’s table. And if we have any sense, we won’t be able to understand it either (2 Samuel, p. 106). Romans 5:8 But God commendeth his love toward us, in that, while we were yet sinners, Christ died for us. 9 Much more then, being now justified by his blood, we shall be saved from wrath through him. 10 For if, when we were enemies, we were reconciled to God by the death of his Son, much more, being reconciled, we shall be saved by his life. 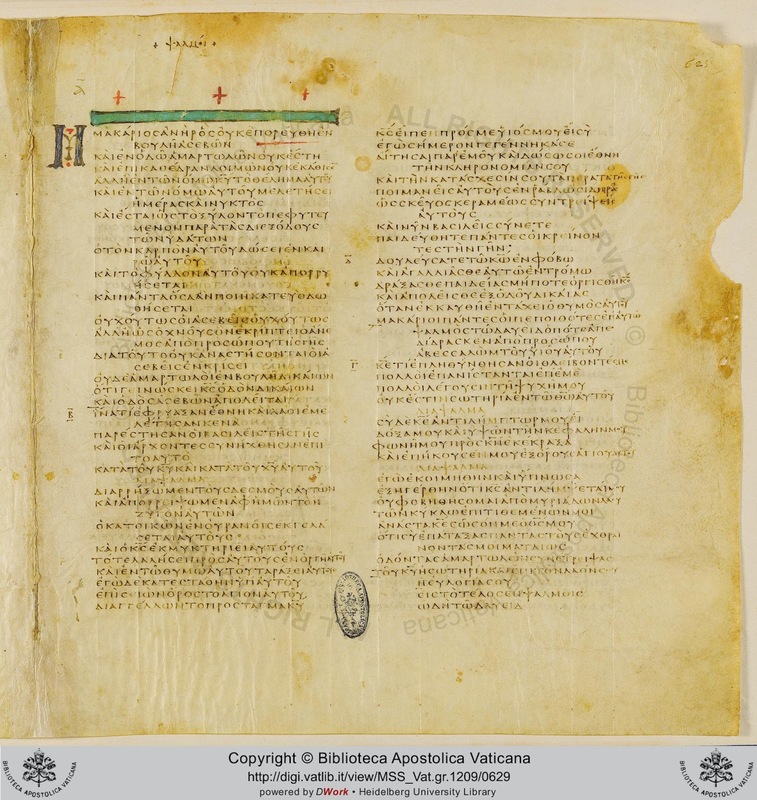 One of the oddities of codex Vaticanus is the textual layout for the ending of Mark. The NT in Vaticanus is written in three columns. Generally, if the text of a particular book ends in one column, the text of the next book begins in the very next column. So, if the text of one book ends in column one, the text of the next book begins in column two. The Gospel of Mark in Vaticanus famously ends, of course, at Mark 6:8. It is one of only three extant ancient Greek mss. 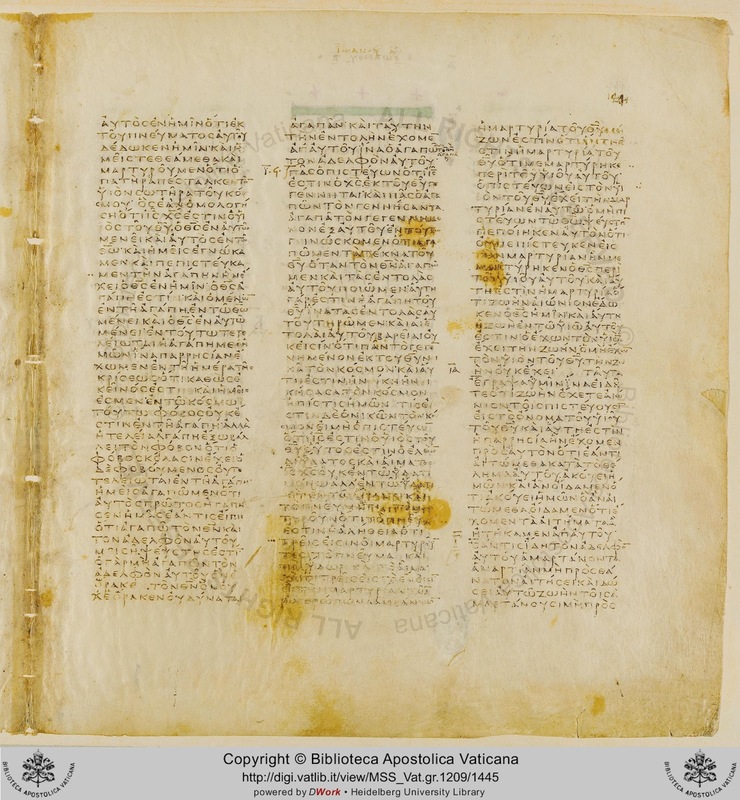 which end Mark at 16:8 (the others being codices Sinaiticus and 304). The odd things is that Mark ends in the middle of column two but column three is left blank, and the text of Luke does not begin until column one of the next page. This perhaps indicates that the scribe was confused or concerned about the abbreviated ending or even intended to add the Longer Ending, though it is questionable as to whether Mark 16:9-20 would fit within the remainder of column 2 and in the blank column three. Perhaps, however, he intended to continue the text in column one of the next page, where Luke now begins. “There are only three known Greek manuscripts that end at 16:8, and one of them has a large open space after verse 8. All the remaining Greek manuscripts contain verses 9-20 after Mark 16:1-8, and most of them do not have a single note or insertion of other data. Mark 16:1-20 has both the authority of the Majority Text, as well as the authority of oldest text. 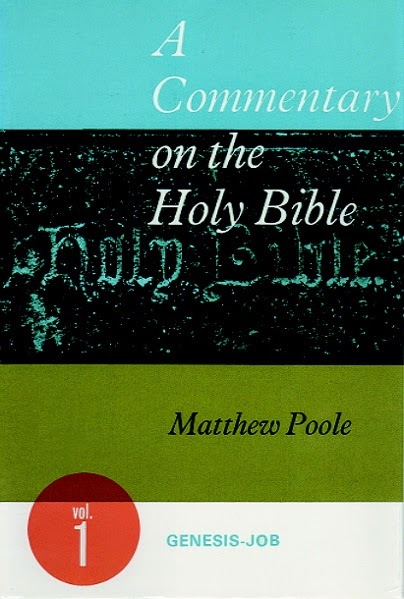 If it still remains uncertain whether Mark 16:9-20 is well attested textually, then very little of any of the text of the New Testament is well attested" (The Future of the Bible [Thomas Nelson, 1978]: p. 131). Image: Ending of Matthew in column two; beginning of Mark in column three. Image: Ending of Mark in column two; column three blank. Image: Ending of Luke in column two; beginning of John in column three. Image: Ending of John in column one; beginning of Acts in column two. 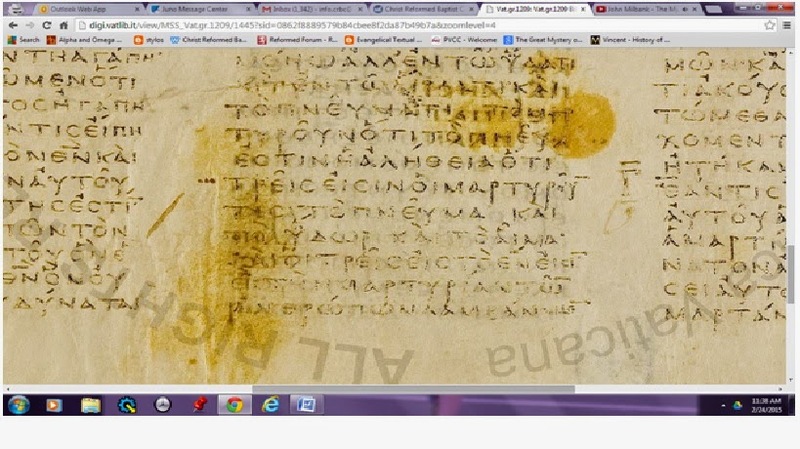 Image: Screenshot of a closeup of 1 John 5:7-8, sans the CJ, in Vaticanus. 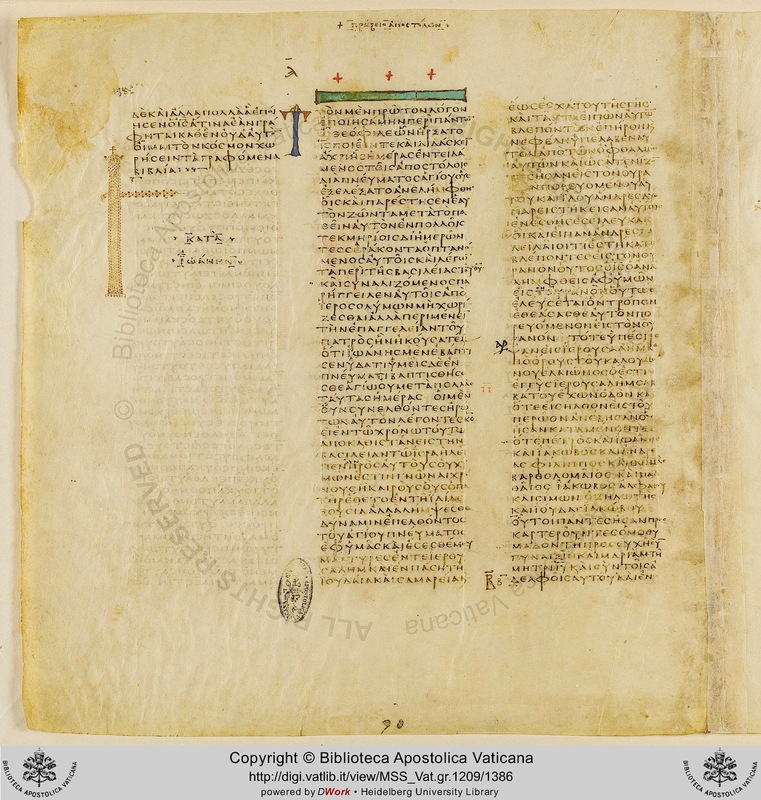 Image: Whole view of page from I John in Vaticanus. The preceding image above is a close-up of the bottom of the middle column which contains 1 John 5:7-8. 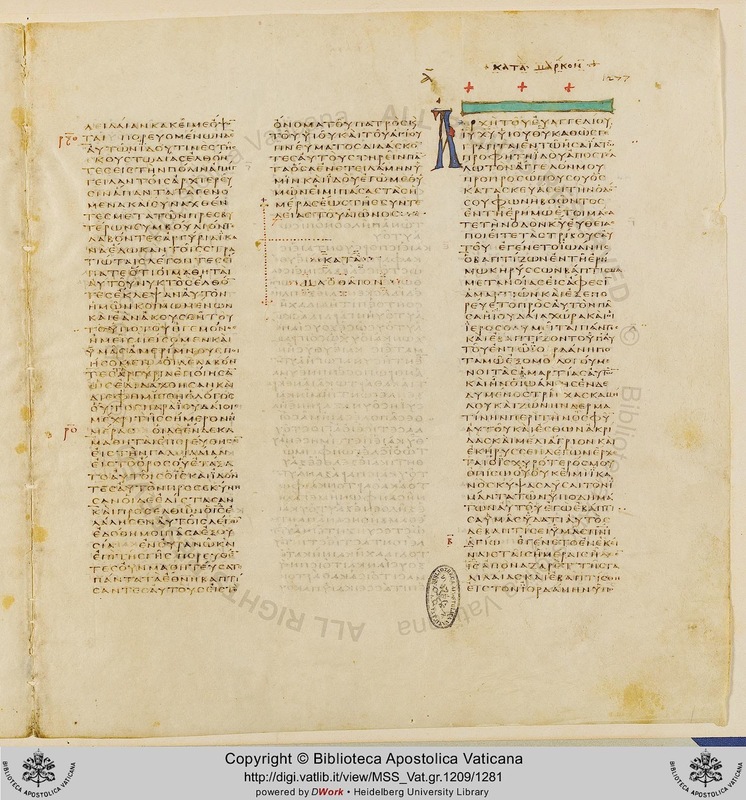 Image: The last page of Hebrews in Vaticanus from the original copyist, ending at Hebrews 9:14a. 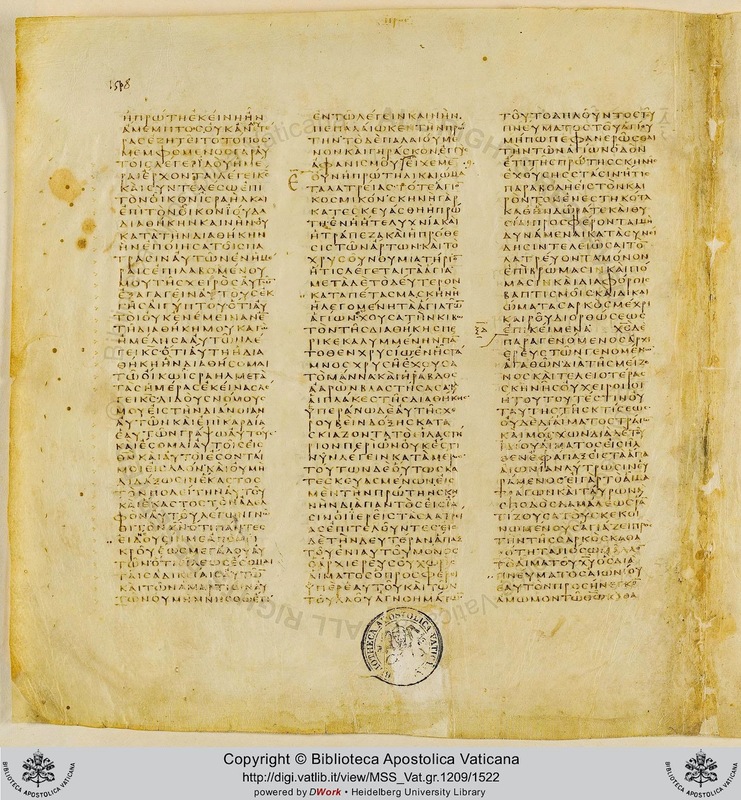 Image: This is the first page of Hebrews in Vaticanus in the later hand, starting at Hebrews 9:14b. 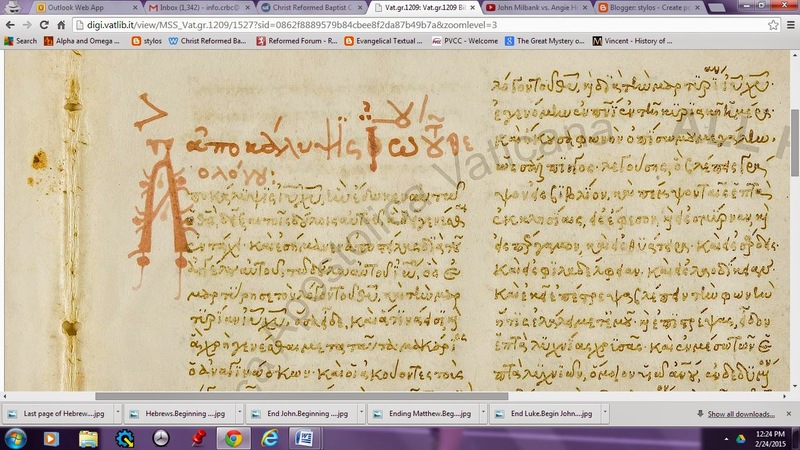 Image: Screenshot of close-up of beginning of Revelation in Vaticanus, written in later hand. Compare and contrast with close-up of 1 John 5:7-8 in archaic hand above. 1. The Gospels and Acts appear in what becomes the standard order. 2. Next are the General Epistles, beginning with James. 3. Next come the Pauline epistles, with the Pastoral epistles (1 Timothy, 2 Timothy, Titus) and Philemon omitted (Did they appear after Hebrews in the original manuscript? See below). 4. Hebrews comes after 2 Thessalonians, which implies it is considered among the Pauline epistles. 5. 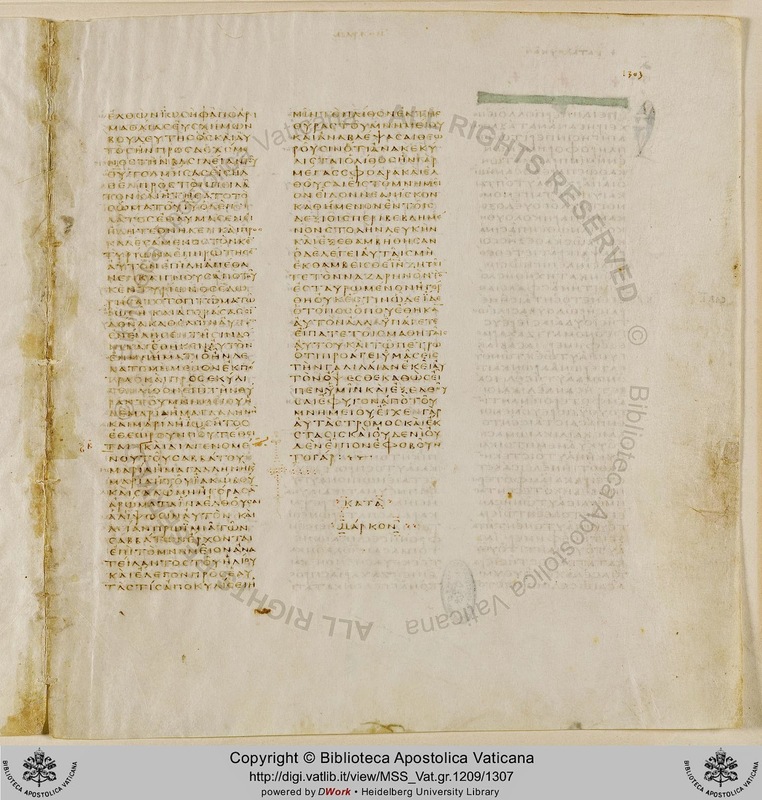 The original text of Vaticanus ends at Hebrews 9:14a. The remainder of Hebrews (9:14b—13:25) and Revelation is written in a distinctly different hand (which apparently dates to c. fifteenth century) and was added at a later time. Note: I posted Word Magazine # 34 today. This episode is a review of Stanley Hauerwas' memoir, Hannah's Child: A Theologian's Memoir (Eerdman, 2010). Below are my notes for this episode which can also be read here. 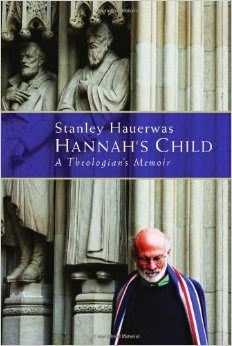 Stanley Hauerwas, Hannah’s Child: A Theologian’s Memoir (Eerdmans, 2010): 288 pp. SH was the Gilbert T. Rowe Professor of Theological Ethics at Duke University in Durham, NC. He wrote this memoir (he is keen to point out that it is not an autobiography, because it is not strictly chronological account of his life) in 2010 when he was age 70. He has since retired from Duke but continues to teach and speak. SH is one of the best known modern American academic theologians. In 2001 Time Magazine named him the “best theologian in America” (and that was back when people were still reading the print version of Time!). SH’s memoir is compelling on a personal level, particularly as he describes a very difficult first marriage that he had to a woman named Anne who suffered from mental illness. It also provides some interesting insights into what it’s like to be a mainline Protestant theologian in this generation. SH was born and raised in Pleasant Mound, Texas and was deeply involved from childhood in the Pleasant Mound Methodist Church where his parents were both active members. He was an only child. The memoir’s title refers to the fact that SH’s mother told him later in his life that before he was born she had made a pact with God that if she was given a son, she would dedicate him to the Lord’s service. SH seems to have had a rather difficult relationship with his mother who was an incessant talker and was needy for attention. He has much admiration, on the other hand, for this father who was a quiet man who worked as a brick-layer craftsman and who taught his son, to some degree, this skill. It was from this experience that SH said he learned, in particular, a strong work ethic. This is how he produced so much academic writing. He worked hard. SH somewhat provocatively states that he was never saved while at Pleasant Mound UMC (that is, he never responded to an evangelistic altar call). But he did as a teen commit himself to full-time Christian service. He went to a small Christian school, Southwestern University in Georgetown, Texas where he was influenced by a Duke grad named John Score. It was while in college that SH became more aware of his blue-collar background. He was the first in his family to go to college. He obviously had some strong academic and intellectual abilities and was encouraged to go to Yale Divinity School in New Haven, CT. In 1962 at age 22 he went to Yale still not really sure he was a Christian and without having been part of a church during his college days. H. Richard Niebuhr and Roland Bainton had just retired but the school had a number of distinguished liberal and mainline Protestant scholars under whose influence SH came. These included: George Lindbeck (though he never had a course with him), Hans Frei (with whom he took Christology), Brevard Childs and Walter Zimmerli (OT), Paul Meyer (NT), James Gustafson (ethics), etc. Intellectually, SH came under the influence, through their writings, of the great Neo-Orthodox theologian Karl Barth and the existentialism of Soren Kierkegaard. There is no mention of his contact with classical or Reformed theology. He was surprised to learn that Divinity students had to do some practical ministry and he worked in a local church teaching Sunday School—though still not sure he could call himself a Christian! At the end of his first semester he married Anne Harley, whom he had met in college. Soon after having their first and only son, Adam, in 1968 according to SH, he sadly began to notice increasingly erratic behavior from Anne—particularly expressed in rage and frustration with him—which was a harbinger of severe mental and emotional problems that were to come. After completing his master’s degree, he went on to work on his doctoral degree also at Yale working under Gustafson in theological ethics, completing his dissertation which was published in 1975 as Character and the Christian Life. After graduate school in 1969 SH began his teaching career at a small Lutheran College named Augustana in Rock Island, Illinois. Though he enjoyed teaching, he ran into some problems in faculty meetings, by exhibiting what he admits was a cocky and brass style, exhibited in particular by criticizing the school for not hiring minority faculty members. He was told that his teaching contract would not be renewed. He was, however, offered a position at the University of Notre Dame in South Bend, Indiana. Though it was a Roman Catholic school its religious department was progressive hiring Protestants and even a Jewish professor. SH would be at Notre Dame for 14 years, and it was here that his academic career would really begin to blossom. He began to write and to publish, including in the field of medical ethics, especially on issues related to the mentally handicapped. It was while at Notre Dame that SH came into contact with the eccentric Mennonite theologian John Howard Yoder who taught at nearby Goshen College and then eventually alongside SH at Notre Dame itself. SH will list JHY as the theologian who most influences his thinking. In particular, he embraces a pacifist position with regard to war and violence. It is while at Notre Dame that the troubles at home become intense. Anne experiences her first psychotic break, is committed for a short time to a psych ward, and is placed on lithium. The crisis at home sends SH looking for a church. He regularly attends and participates in mass at a Roman Catholic chapel at Notre Dame and is surprised to learn—despite the fact that he has a divinity degree and is a theology professor—that non-Catholics are not welcomed to take the Eucharist in a Catholic service. He eventually becomes involved, with Adam (Anne does not attend with them and is intensely antagonistic toward religion), at the small, Broadway Methodist Church in South Bend, where the divorced pastor does at least instilled in SH some sense of churchmanship. Changes eventually come to Notre Dame with a new Department Chairman, Richard McBrien, who, though he is a progressive Catholic, wants the department to be more conscientiously Catholic. This rubs SH the wrong way and he begins looking for an exit. He finds one in a prestigious appointment to the divinity school at Duke University in Durham, NC in 1983. Soon after the move to Durham, Anne had yet another very severe breakdown and had to be hospitalized. As his academic and professional career rose his personal life crumbled. Soon after his son left for college, Anne left him and drove back to South Bend where she pursued one of SH’s former colleagues with whom she fantasized she had a relationship (which was non-existent in reality). SH got a legal separation agreement from Anne. When he later gets a call from Anne’s brother reporting that Anne has tried to commit suicide by stabbing herself in the chest with a knife, he answers, “I am not coming” (p. 203). He eventually divorced her, though he says he insisted that he pay her a generous alimony. Before the divorce and even before the separation agreement, SH begins dating Paula Gilbert the Director of Admissions at the Divinity School, more than ten years his junior, and an ordained Methodist minister. Here is a line penned by SH after describing his first date with Paula which you would only read in the memoir of a liberal theologian: “Of course, I was still officially married. I realized that dating Paula might offend some people in the divinity school” (p. 202). Sometime after their divorce, Anne would die of congestive heart failure, isolated and alone in her late 50s in her apartment in South Bend. In the meantime, SH had married Paula Gilbert in 1989 and begun a new life. SH was increasingly in demand as an author and speaker, particularly in mainline, liberal Protestant circles, though he was known for his critiques and criticisms of liberal mainline church life (along the lines of Resident Aliens). He was invited to give various prestigious lectureships many of which became books, including the 2001 Gifford Lectures at the University of St. Andrews in Scotland on natural theology which became his book With the Grain of the Universe. There were also times for academic politics with the change of deans at Duke and for SH’s interesting role in aiding in the disciplinary process for his intellectual mentor JHY after Yoder was accused of inappropriate actions toward a number of women. He and Paula became part of the struggling Aldersgate Methodist church in Durham and stuck with it till a young woman minister and Duke Divinity grad tied to introduce Willow Creek innovations to help the church grow. As of 2010 SH and his wife were part of a liturgical Episcopalian church. 1. What is the significance of SH? As he comes to the sunset of his life and career, SH is still highly respected in academic and liberal Protestant and Roman Catholic church circles for his views on narrative and pastoral theology, pacifism, etc. If you listen to any of the SH material on youtube.com or read the memoir you get the sense that he rather enjoys the position of being a sort of unconventional theologian. He likes being radical. He likes, for example, throwing out some foul language to “shock” his audience, or saying something that might offend mainline liberals. SH has not been what we might call a systematic theologian. He did not write a magnum opus like Calvin’s Institutes or a systematic theology that will be read for centuries to come. From a conservative, fundamentalist (traditional) Christian perspective, the main problem is that SH seems little interested in building his theology on the exegetical study of Scripture. He jokes that he did not really read much of the Bible until he started teaching some basic Bible courses at Augustana, though he does speak as well of a growing appreciation for the Bible and preaching later in his life. There is little discussion of Biblical interpretation to establish pacifism (e.g., the Sermon on the Mount, Romans 13, etc.) or in trying to weigh his responsibilities to his wife (Genesis 2; Matthew 19; 1 Corinthians 7). This is also seen in SH’s ecclesiology. He is literally all over the map: Methodist, Lutheran, Roman Catholic, Mennonite, and Episcopalian. He thinks of this wide “ecumenism” positively, but it might also be interpreted as a lack of firm understanding and commitment to the beliefs and practices represented by each of those traditions, many of which are mutually exclusive. Surely a theologian, for example, should be able to articulate the wide differences between Protestants and Catholics. SH’s theology seems to be nearly completely disengaged from confessional Christianity (though I suspect he would affirm the ecumenical creeds). This leads to contradictions. He is a Barthian and a Methodist! He is a paedobaptist and an Anabaptist! This lack of traditional definitions, also leads him to be unwilling to essentially identify what it means to be a Christian. After noting that he did not consider himself a Christian even while a divinity student, by the time he becomes a theology professor he begins to think of himself as a Christian theologian and, in particular, as a theologian of the church. But, again, he never defines what it means to be a Christian. Is it baptism? Is it church membership? Is it regeneration, repentance and faith? SH is dismissive of those who stress the creedal and confessional aspects of Christianity but he never offers a clear alternative. He lacks boundaries and clarity. With regard to his preferences for worship, SH likes to describe himself as a “high church Mennonite” meaning, I think, that he likes liturgical worship and the simplicity of the Anabaptists. He speaks of the value of a word and sacrament ministry. As the memoir indicates toward the end of his life and career he did come to appreciate “going to church” and, in particular, watching his wife “celebrate” the Eucharist. Again, he can offer no authoritative reasons for this that go beyond personal preferences. There is no Regulative Principle to guide his thought and, thus, no sense that Scripture, might forbid, for example, women serving as elders and leading in public worship. 2. What about SH’s ethics? This is SH’s memoir and he stresses several times it is his telling of his story. The central issue in the memoir is SH’s experience of being married to Anne. This is the touchstone of the memoir. We never, of course, get to hear from Anne. SH has very little positive to say about her. I do not mean to stand in judgment on him. The Lord alone is the Judge of all the earth. I would not address this if he had not addressed it publicly. I certainly would not want all my thoughts and actions brought under public scrutiny. Hauerwas’ description of his marriage to Anne and his divorce from her, nonetheless, is obviously the part of his memoir which is most troubling. When he discusses his divorce from her he does not mention Biblical justification for this move (and he might have marshaled some: desertion, adultery). His decision seems to be based in his personal feelings and experience. This is justified because she did these irrational and mean things to me and my son. I have heard SH in lectures be dismissive of “situation ethics” but his discussion of his divorce from his wife can only be described as utilitarian. He did what was best for him. He went to counseling. If SH is influenced by the Anabaptists, I wonder what his take is on their views of marriage, divorce, and remarriage (in thinkers like John Coblenz). Even JHY’s wife stuck by him when he committed adultery. In the end I think there are some things we can learn from SH and his personal story. We can admire his work ethic and his ability to make friends. But we can also see some warnings in his story—warning about where the road leads when there is a lack of confessional and ecclesiological boundaries. Note: The digital age is truly amazing. Codex Vaticanus has been posted online. Now, you do not have to travel to Rome’s Vatican library to view the codex, or purchase an expensive facsimile, or live near a library which has a facsimile. 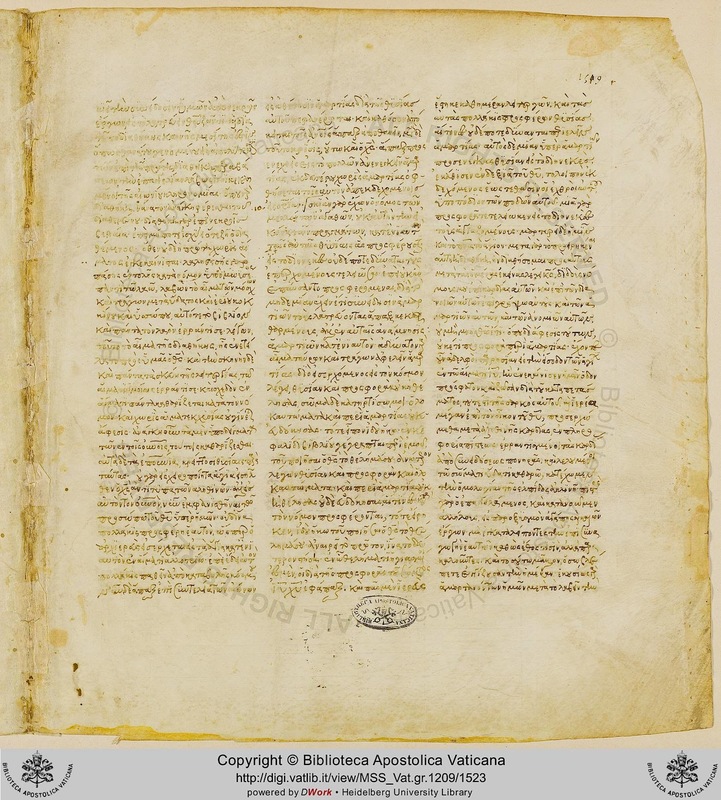 Add this to access to Codex Sinaiticus, which has been available online for a couple of years now, and anyone can examine the two codices that have had the biggest impact in dethroning the received text. I began poking around the codex this morning. 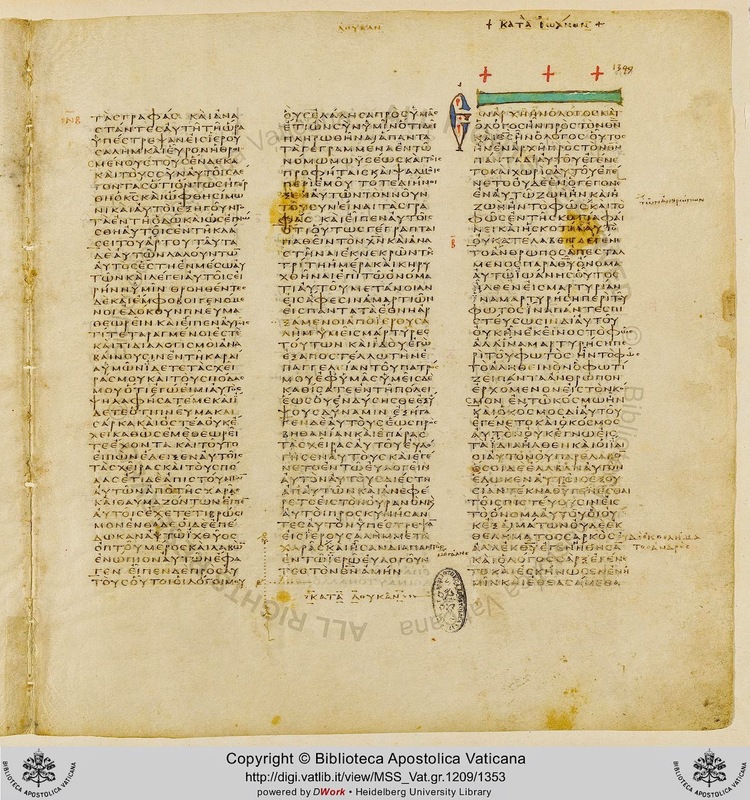 I had recently been interested in finding out how Vaticanus ordered the Biblical books (both OT and NT) and what apocryphal books it included in the OT. I had not been able to find a complete listing in secondary sources and had not yet been able to visit a library to look at a facsimile. Now, I can access it with the click of a mouse. My interest in how Vaticanus orders the OT books is related to the development of canon in the fourth century AD (when the bulk of Vaticanus was apparently written—some sections were obviously written and added later [they appear in a completely different writing script which apparently dates to c. fifteenth century] to fill in gaps in the text, which the online version now also allows one to see in the opening of Genesis and the book of Revelation). There was obvious fluidity in the selection of the Old Testament books and also fluidity with the texts of those individual books. This is a factor that I do not think advocates of the modern critical text have adequately taken into consideration when they give such weight to Vaticanus and Sinaiticus in determining the NT text. Here is the list and some notes on the OT books in Vaticanus. I have not yet taken a close look at the entire text (e. g., examining additions to Esther and Daniel), so some of the info below might need to be nuanced, but here is a preliminary list. *The titles above are taken from standard English OT usage or from the titles supplied by the online editors (e. g., 3 Esdras) and not necessarily as they are titled in the Vaticanus text. Apocryphal works in red. 1. The opening order: Genesis—2 Chronicles follows the LXX order with Ruth inserted between Judges and 1 Samuel. 2. The apocryphal book of 3 Esdras (LXX 1 Esdras) is then followed by 2 Esdras (Ezra-Nehemiah). 3. Next is the poetic and wisdom literature from the Hebrew Bible, following the LXX order. 4. Next is the apocryphal wisdom literature of Wisdom and Ecclesiasticus. Note that Ecclesiasticus is preceded by a prologue. Note: Apocryphal Psalms of Solomon not included. 5. Next is Jewish diaspora literature, including canonical Esther (with additions), followed by the apocryphal books of Judith and Tobit. Note: Apocryphal books of 1-4 Maccabees not included. 6. Next are the twelve Minor Prophets (Hebrew Book of the Twelve) following the LXX order. 7. Finally, there are the Major prophets. The “Jeremiah corpus” includes the apocryphal Baruch and the Epistle of Jeremiah. The Old Testament ends with canonical Daniel (with additions). Note: Here is another textual issue I ran across when preaching last Sunday morning on 2 Samuel 8. I. The Issue: Did David smite the Syrians or the Edomites in the valley of salt? The traditional Hebrew Masoretic Text reads aram (Syria). Geneva Bible: 2 Samuel 8:13 So David got a name after that he returned, and had slain the Aramites in the valley of salt eighteen thousand men. KJV: 2 Samuel 8:13 And David gat him a name when he returned from smiting of the Syrians in the valley of salt, being eighteen thousand men. NASB: 2 Samuel 8:13 So David made a name for himself when he returned from killing 18,000 Arameans in the Valley of Salt. NKJV: 2 Samuel 8:13 And David made himself a name when he returned from killing eighteen thousand Syrians in the Valley of Salt. NIV: 2 Samuel 8:13 And David became famous after he returned from striking down eighteen thousand Edomites in the Valley of Salt. RSV: 2 Samuel 8:13 And David won a name for himself. When he returned, he slew eighteen thousand Edomites in the Valley of Salt. 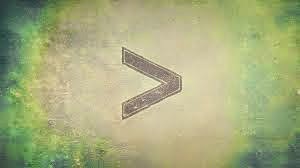 NRSV: 2 Samuel 8:13 David won a name for himself. When he returned, he killed eighteen thousand Edomites in the Valley of Salt. ESV: 2 Samuel 8:13 And David made a name for himself when he returned from striking down 18,000 Edomites in the Valley of Salt. (1) The text has already recorded David smiting the Aram (Syria) in v. 5 including noting the slaying of “two and twenty thousand men.” Does it make sense to record another Davidic victory over Aram in which an additional eighteen thousand men were slain? (2) The southern location of the battle, in the valley of salt, makes more sense if the opponent was a traditional southern group like the Edomites, who are also the focus of v. 14. KJV: 1 Chronicles 18:12 Moreover Abishai the son of Zeruiah slew of the Edomites in the valley of salt eighteen thousand. The problem with the modern critical adaptation is the tenacity of the traditional Masoretic reading. These scholars who transmitted the tradition were likely not ignorant of the perceived difficulties with the reading of aram in v. 13 yet they persisted in promoting it. Why? Could it be because this was the original and the alternative traditions represent efforts to improve it? Can we apply one of the canons of modern text criticism here: The more difficult reading is to be preferred? The traditional text need not be abandoned to find a reasonable interpretation of the passage which harmonizes with its immediate context and with the parallel in 1 Chronicles 18:12. The Syrians, or Edomites, as they are said to be, 1 Chron. xviii.12. It is likely these two people were confederates, and that divers of the Syrians whom David had defeated in Syria fled to Edom, and there joined with them against their common enemy, and made up together a very great army, (as the number of the men slain in it showeth), consisting of the veteran soldiers of both countries; although the slaughter here following may seem not to have been of the Syrians, as the words at first reading seem to intimate, but of the Edomites; (it not being probable that the Syrians would come so far from their own country, as to the valley of salt, to fight;) and this verse may be read thus, and that very agreeable to the Hebrew: And David gat him a name when he returned from smiting of the Syrians, in smiting (which is easily repeated out of the last clause, according to the common usage of Scripture), in the valley of salt eighteen thousand men, who were Edomites, as is sufficiently implied here in the next verse, and expressed 1 Chron. xviii.12…. I. The issue: How many chariots and horsemen in v. 4? The Hebrew text might be construed as ambiguous: eleph oo-shabah-meh-ot parashim [literally: “one thousand and seven-hundred horsemen”]. Also, in favor of the referent being “chariots” is the mention later in the verse that David hamstrung the “chariot horses [recheb]” but reserved one hundred of them. The LXX follows this interpretation: chilia harmata kai hepta chiliades hippeon (“one thousand chariots and seven hundred horsemen”). More compelling (and perhaps also more confounding) is comparison to the parallel passage in 1 Chronicles 18:4 where the noun recheb (chariot) is explicitly written but the number of horsemen is increased to seven thousand: elpeh recheb vuh-sheeb-at alaphim parashim (“one thousand chariots and seven thousand horsemen”). Seven hundred horsemen, or seven hundred companies of horsemen, i. e., in all seven thousand; as it is in 1 Chronicles xviii.4; there being ten in each company, and each ten having a ruler or captain, Exod xviii.21; Deut 1:15. Or these seven hundred were the chief and rulers of the rest, and the remaining six thousand three hundred were the common horsemen, subject to their commanders. II. How do modern English translations render 2 Samuel 8:4? The Geneva Bible (1599) translates straightforwardly: “a thousand and seven hundred horsemen” with no supplied referent but without explicitly numerically linking the thousand to the seven hundred. The KJV (1611) interprets the thousand as having its implicit referent to be “chariots”: “a thousand chariots, and seven hundred horsemen.” In a typically helpful manner, the word “chariots” is in italic to let the reader understand that the word is not in the original but has been supplied by the translator. This rendering is troubling in that it creates an unnecessary contradiction with 1 Chronicles 18:4. At the risk of being labeled a KJV-Onlyist, I have to conclude that the KJV rendering of 2 Samuel 8:4 is superior. It accurately reflects the text of the underlying Hebrew original but also harmonizes with the parallel passage in 1 Chronicles 18:4.